Apache: The most widely used web (HTTP) server. MySQL: A commonly used open-source relational database. These components comprise what is known as the LAMP stack, a group of open source software that is typically installed together to enable a server to host dynamic websites like WordPress. This term is actually an acronym which represents the Linux operating system, with the Apache web server. The site data is stored in a MySQL database, and dynamic content is processed by PHP. UFW: A program to simplify the management of a firewall. fail2ban: A service that automatically updates your firewall configuration to block attackers. In this tutorial, we’ll create a WordPress One-click Droplet, then explain how to configure your WordPress site, including how to configure the domain, where the MySQL password can be found, and how to access the MySQL database. Click WordPress to select it as the image. Choose whatever size you need here. Note that WordPress One-Click Droplets require 1GB of RAM or more, so first available plan begins at 1GB. Generally, choose the data center closest to your user base. 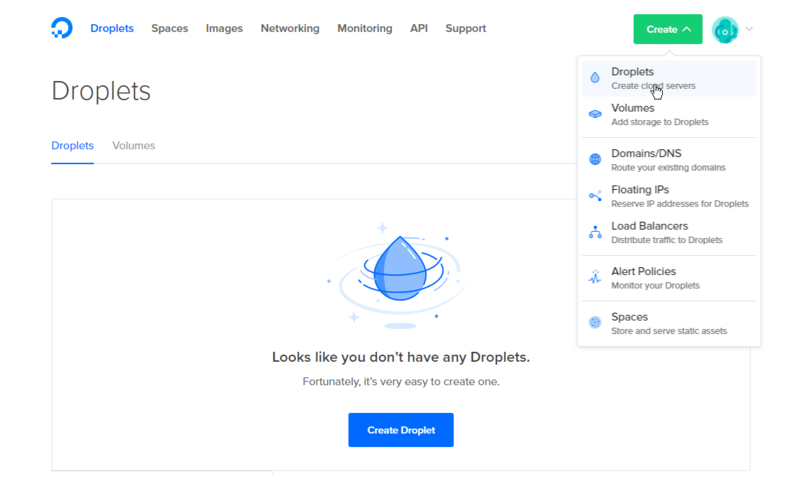 We recommend that you select Monitoring, a free service that will help you follow Droplet resource usage over time. You may also want to consider enabling automated backups. You can enable this now or anytime in the future. You can make it easier to identify the Droplet by naming “WordPress” or by naming it after the site you plan to host. When you’ve made your choices, click Create. Click the address to copy it to your clipboard. In the next step, we’ll use this to view the WordPress site. This security measure has been put in place to protect the initial configuration of WordPress, in which the administrative user is set up. You can safely leave the installation in this state until you are ready to configure WordPress. To remove the placeholder web page, connect to the Droplet with SSH. As soon as you connect, it’s important to complete the WordPress configuration promptly. Until you do, anyone who stumbled across the site could create the administrative user and password. You’ll need to connect directly to the server from the command line one time to be able to configure WordPress. 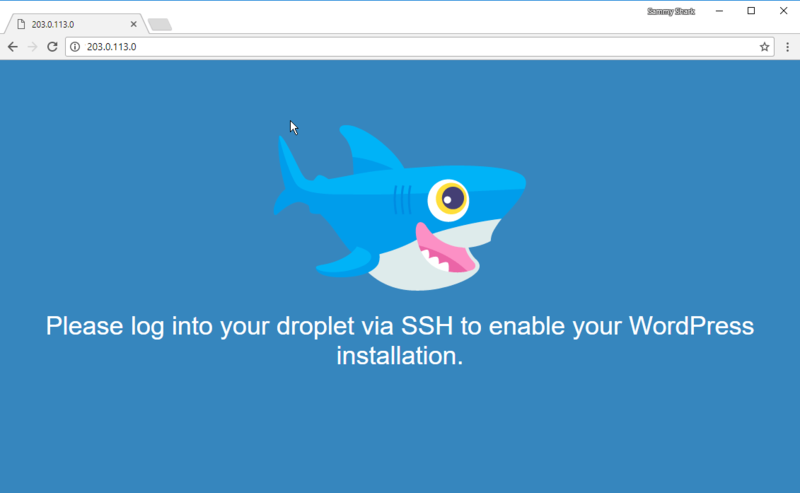 If you haven’t used a terminal program like SSH or PuTTY before, refer to this tutorial for detailed help: How To Connect To Your Droplet with SSH. If you are prompted for a password, enter the password that was emailed to you when the Droplet was created and follow the on-screen prompts to replace your temporary password. Alternately, if you set up the Droplet with SSH keys, the keys will be used for authentication instead. After the first successful SSH login, you’re you’re ready to set your administrative password and configure WordPress. Follow the on-screen prompts to select the language, give the site a name, and configure its administrative user. Be sure to set a strong password for added security). Once you have completed the initial configuration, you can log in as the administrative user you just created and continue to set up your site. To use a domain name set up with your own DNS provider. Either way, you connect your domain name to your WordPress Droplet, once it resolves, you will need to update the WordPress configuration to use the domain. Log in to your WordPress admin panel at http://DROPLETIPADDRESS/wp-admin using the admin account you created earlier. Click on General under Settings in the navigation bar on the left-hand side of the page. Here, you will see several options you can configure for your site. 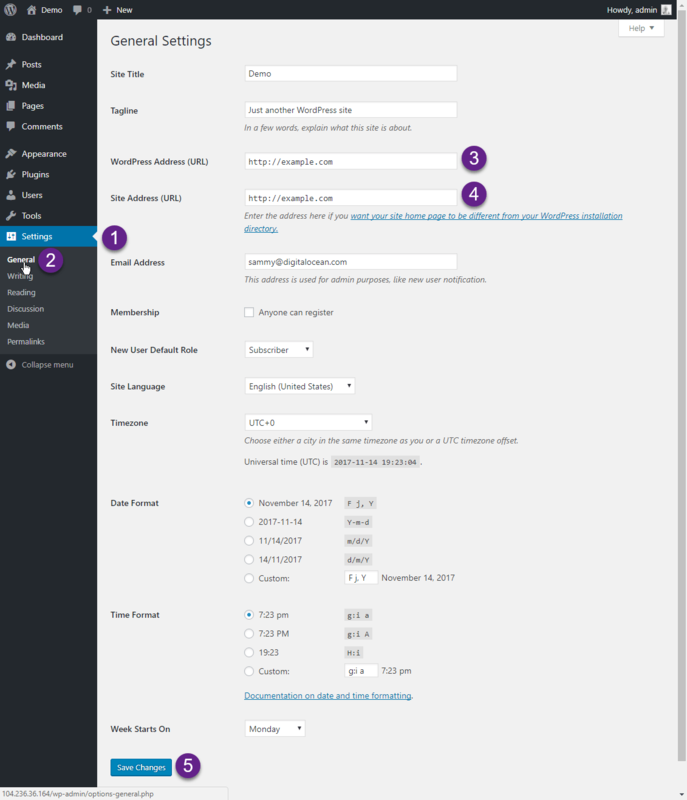 Update the WordPress Address (URL) and Site Address (URL) fields to reflect your new domain name and click Save Changes. You can customize your site’s appearance, install plugins for added functionality, or create a new post or a page. Thank you for using DigitalOcean's WordPress Application. When prompted, paste in the password you copied. If you prefer to use a graphical user interface, the tutorial How To Install and Secure phpMyAdmin on Ubuntu 16.04 can guide you. Follow our Initial Server Setup guide to give sudo privileges to your user, lock down root login, and take other steps to make your Droplet ready for production.